Winter is getting old, and it’s only January. 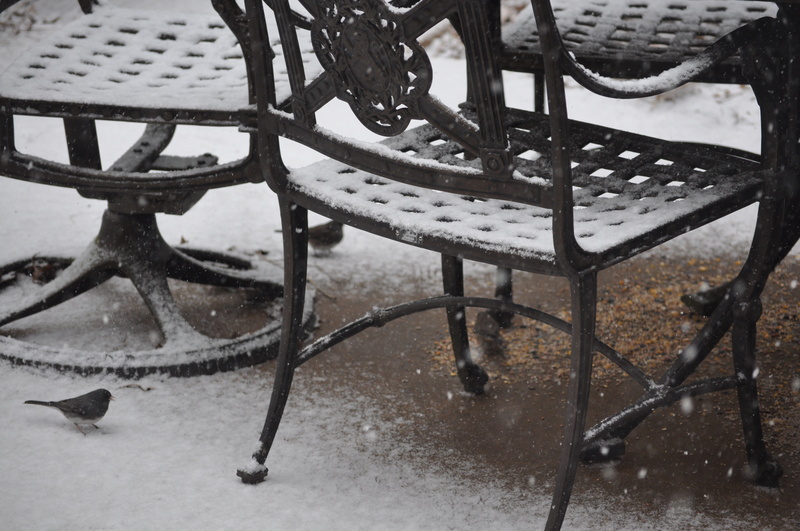 So far, as I write this we have about 8 inches of snow on the ground. Plus, all of it blowing off the roof and piling against the doors. The birds are frantic, as usual. 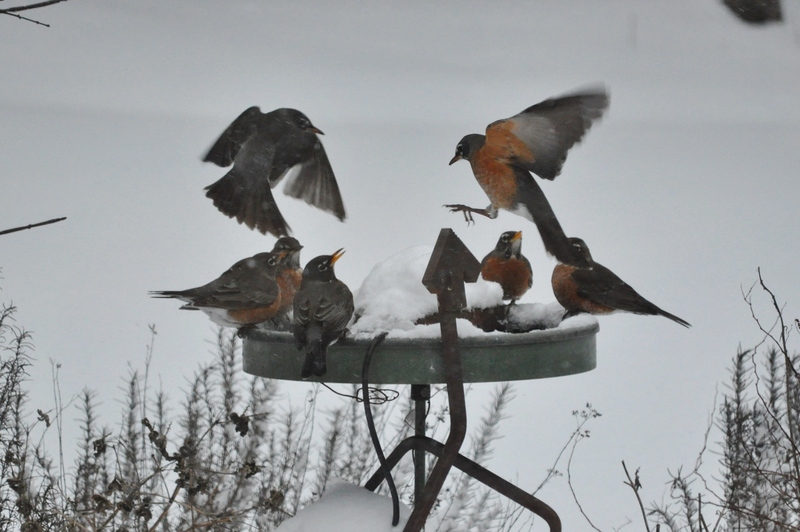 The robins are fighting for heated bird bath space. The juncos are happy the food is under cover, at least for a while. 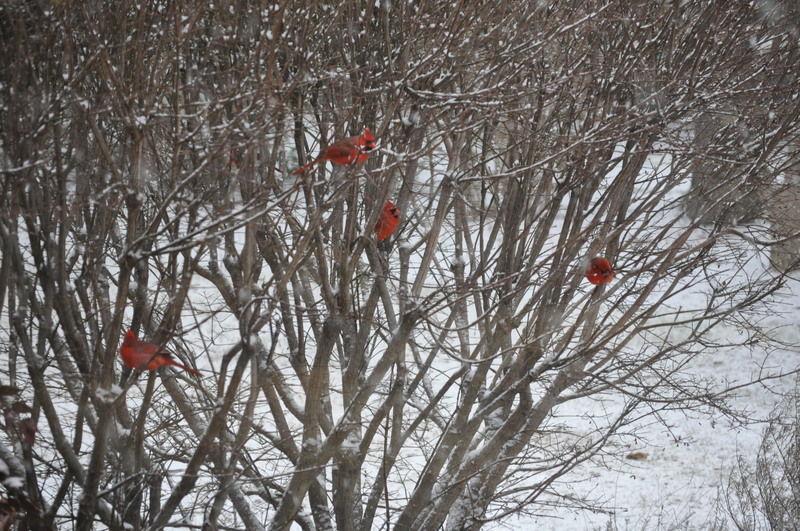 The cardinals are hanging out in the burning bush. We have checked the heat pumps. Checked the storm drain outside the basement door. Cranked up the heat a bit. It is going to be another series of very cold, very uncomfortable weather. Posted in Birds, Weather, West HoCo and tagged birds, weather, West HoCo. Bookmark the permalink.